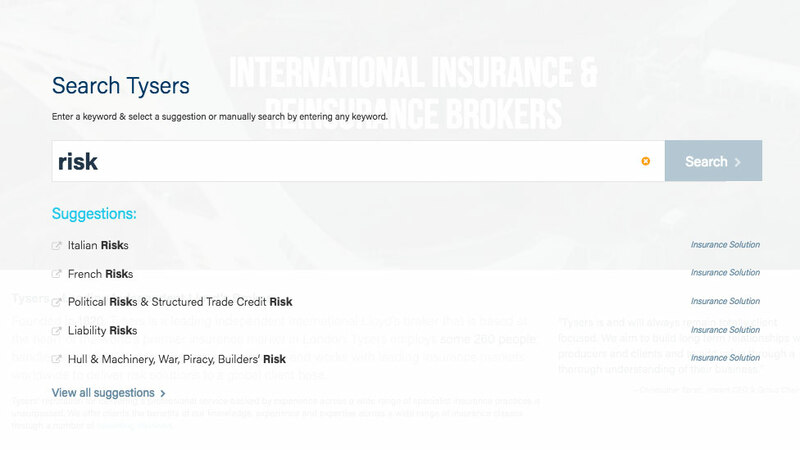 A striking WordPress website that positioned Tysers as a strong industry leader focused on putting their clients first, and helped them handle over £700 million of annual insurance premiums. Based at the heart of the world’s premier insurance market in London, Tysers was founded in 1820 and now handles over £700 million of annual insurance premiums. The company has built a reputation for professional service backed by their expertise in a wide range of specialist insurance practices, and having a thorough understanding of their clients and their needs. 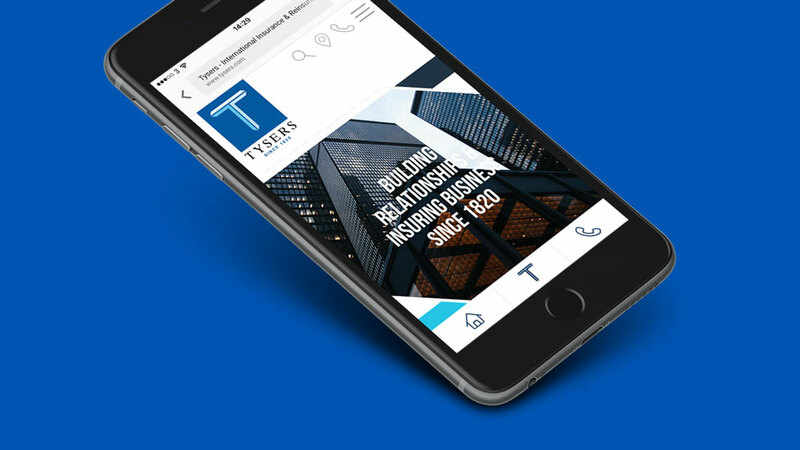 Tysers asked us to update their website with a memorable new design and develop a flawless online experience for their customers. The new website had to present our client as a leader able to offer years of experience and a wide range of products and risk solutions. 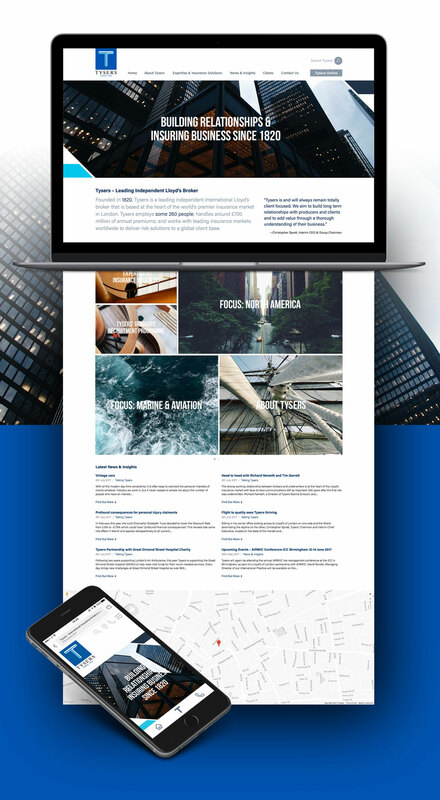 We delivered a striking mobile first WordPress website that presents our client as a confident leader focused on delivering industry expertise and insights – coupled with great products – to their customers. 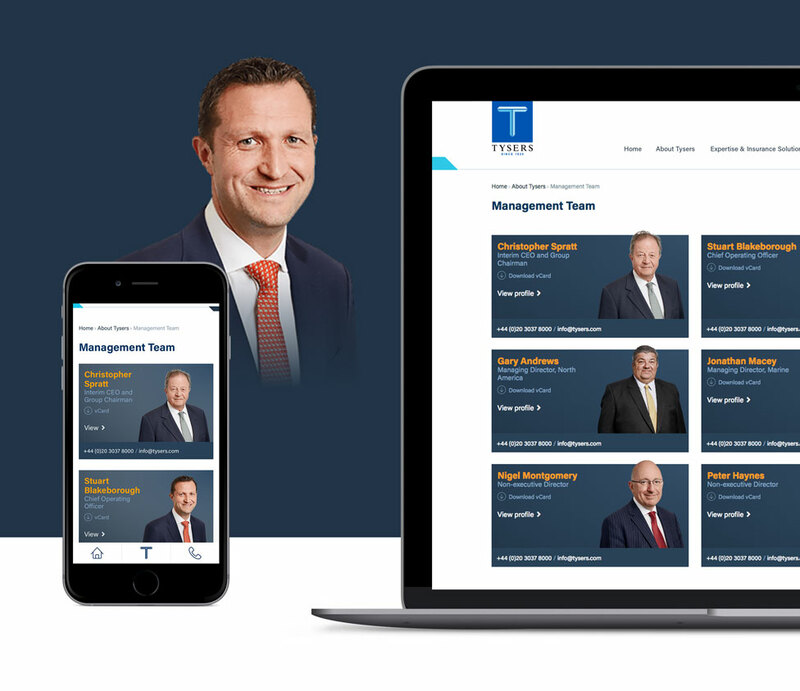 An html5 video banner helps set the scene by immediately getting across the idea that Tysers is a dynamic company at the helm. The short video – made up of footage compiled by our studio – features different Tysers locations, and is overlaid with key messages that help transmit our client’s global leadership. Full-screen navigation allowed us to present the large amount of content in a visually appealing way: the combination of powerful images, engaging copy, and subtle animation on hover contribute to an improved user experience (UX). Overlaid menus visually organise the information, and carefully considered photography helps communicate Tysers’ expertise in a wide range of insurance and risk management solutions. We refreshed the client’s existing colour palette and typography: we introduced a lighter tint in Tysers’ logo, and a dark blue and orange help transmit a combined message of professionalism and energy. To emphasise that Tysers’ success is built on the strength of the relationships their people build with their customers, we organised a professional photoshoot to bring the senior leadership team and key contacts at each of Tysers’ operating divisions closer to their audience. The shots present an approachable team of leaders ready to take on the next challenge. Every other member of staff – in the hundreds – also took part in the photoshoot, with all photographs receiving the same image treatment to ensure visual consistency and achieve a polished look that inspires confidence throughout. 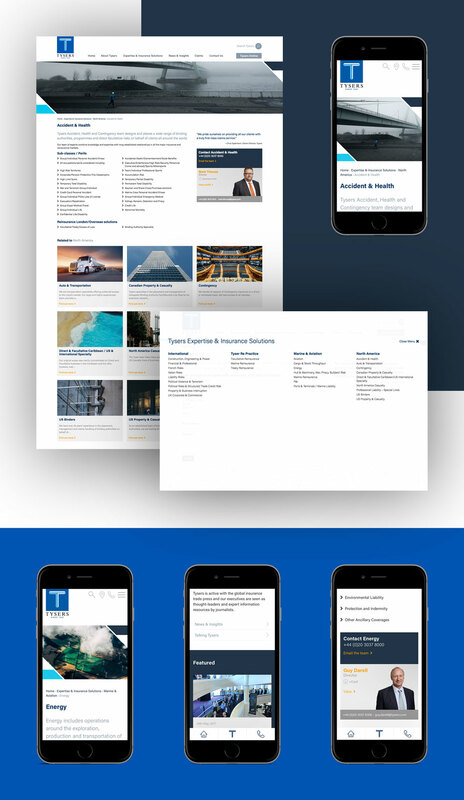 Each division of the business benefits from its own dedicated page, providing an overview of the service and a downloadable vCard for each area leader. Auto-complete search functionality also contributes to a better user experience: root word recognition and predictive text deliver search results with an exact keyword match, and internal tagging allows for suggestions on related content. The CMS (Content Management System) we used on the website allows our client to update it themselves quickly and easily with the latest content, including events, news and press releases.